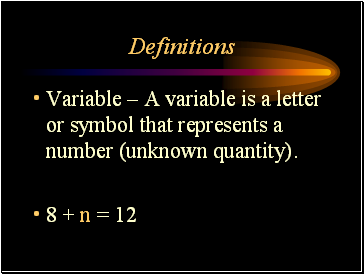 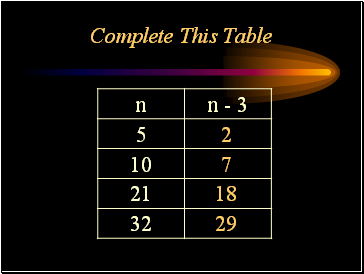 Variable – A variable is a letter or symbol that represents a number (unknown quantity). 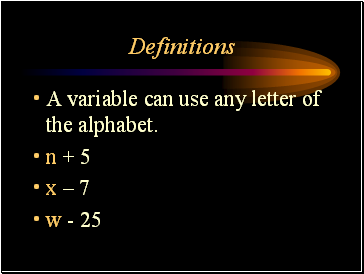 A variable can use any letter of the alphabet. 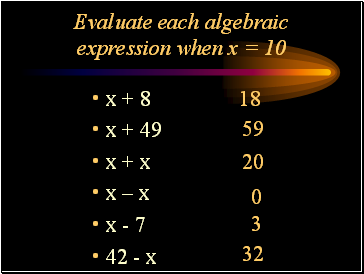 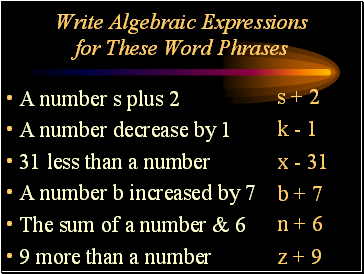 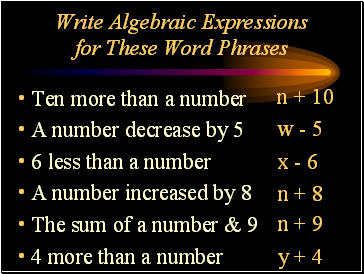 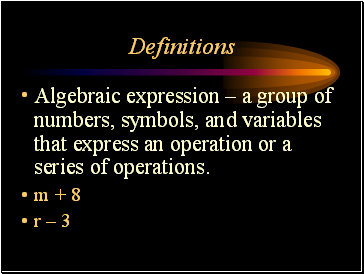 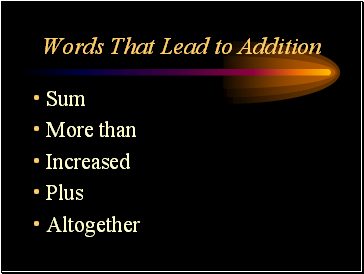 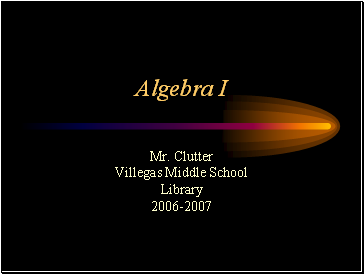 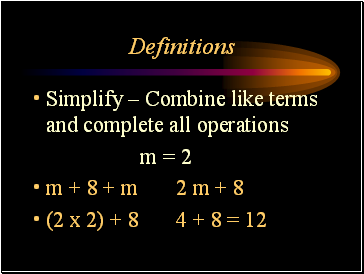 Algebraic expression – a group of numbers, symbols, and variables that express an operation or a series of operations. 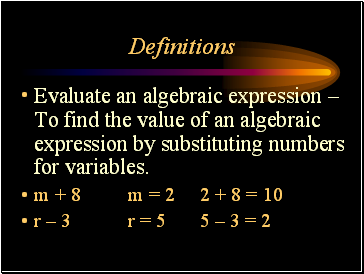 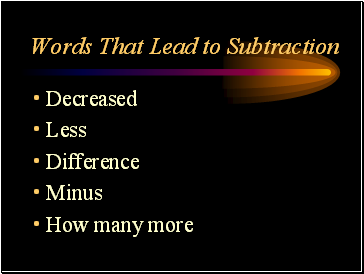 Evaluate an algebraic expression – To find the value of an algebraic expression by substituting numbers for variables.